To be honest, on the one on the right I think you have too many players forward and will get caught out on a counter attack. The one on the left is similar to one that I have had success with, depending on your players you can adjust it with the middle midfielder and have him as an Enganche or a Regista. 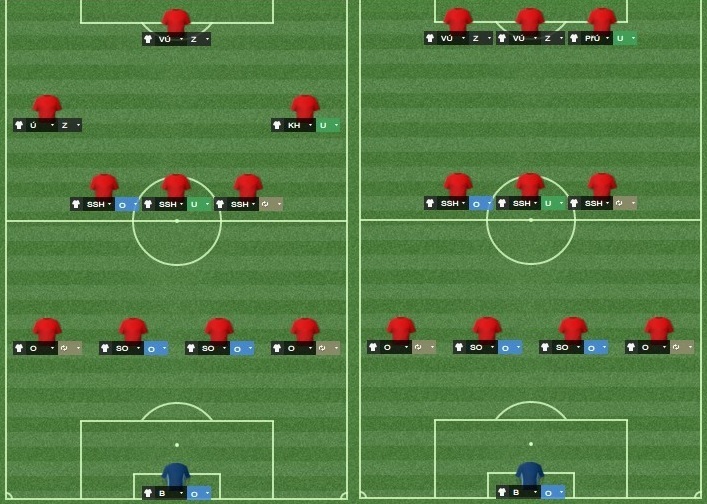 I think that will be a good formation/tactic for you.